Chiropractic is the science and art which utilizes the inherent recuperative powers of the body, and addresses the relationship between the spinal column and nervous system which is responsible in the restoration and maintenance of health. It is holistic, as a person’s entire body and lifestyle are examined. When working with a chiropractor to improve your health, lifestyle recommendations (diet, posture, exercise, and stress management) are often made, so as to address the underlying cause of the problem. Balance Health Center helps in the correction of spinal misalignments which irritate the nervous system. 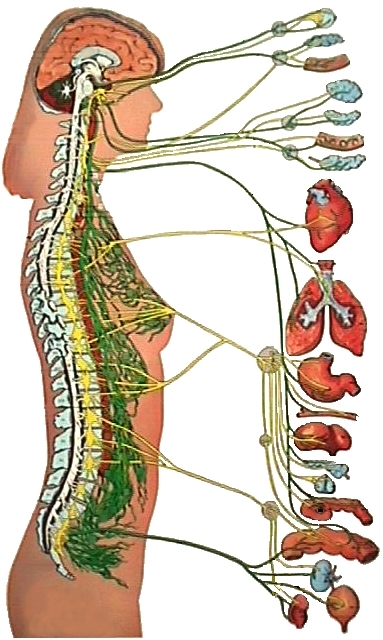 Chiropractic adjustments help to rehabilitate the spine, creating subtle postural changes. Results are decrease in pain, increase in spinal mobility, flexibility, and strength. Chiropractic treatments are safe, natural, and very effective in correcting the alignment of spinal bones. The primary responsibility of the chiropractor is to detect and correct misalignments of spinal bones. The causes of spinal misalignments vary widely from person to person – poor posture, sports injuries, accidents, and excess stress (physical, emotional, and/or chemical) are common causes. Subluxations (the condition in which a vertebrae has lost its proper relationship to the one above or below) harm the nervous system, which supplies energy to your entire body. This reduces nerve flow to organs, glands, muscles and body parts, and decreases your body’s healing ability. You become more easily tired and irritated, and, as your resistance is lowered, are more easily overcome by your environment. On your initial visit, we begin with a comprehensive health history and physical exam which includes: range of motion testing, orthopedic and neurological examinations, muscle strength testing, motion and static palpation of the entire spine, and postural analysis. Once the misalignments are located, we begin the process of making specific adjustments to the spinal bones, returning them to their proper position. When the correct alignment of your spinal bones is restored, irritation of the spinal nerves is relieved and the nerves are able to function more optimally. Ask Dr. Bernabei about any Chiropractic questions you may have and how we can help.